Why do some people become addicted to drugs and alcohol while others don’t? Is it all due to our environment, or do genetics play a role in addiction? Whether a person decides to use alcohol or drugs for the first time is a personal choice, often influenced by sociocultural, psychological or biological factors. But whether a person is at risk for developing an addiction is greatly influenced by genetics. Research shows that genetics are responsible for half of the risk for alcoholism and drug addiction. And while genes are not the sole determinant, their presence may increase the likelihood that a person will become addicted to drugs or alcohol. According to the National Council On Alcoholism And Drug Dependence (NCADD), the single most reliable indicator of drug or alcohol dependence is family history. Recent research has identified numerous genes that are associated with addiction. One way genes affect your risk for addiction involves how your genes metabolize alcohol. Another is how your nerve cells signal one another and regulate their activity. Such changes in genes can be passed down from one generation to the next. Alcoholism and drug addiction have both genetic and environmental causes. More than 28 million Americans are children of alcoholics, and nearly 11 million of those are under the age of 18. Children of addicts are eight times more likely to develop an addiction. A 1985 study suggests a strong genetic component, particularly for the onset of alcoholism in males. Sons of alcoholic fathers are four times more likely to become alcoholics. 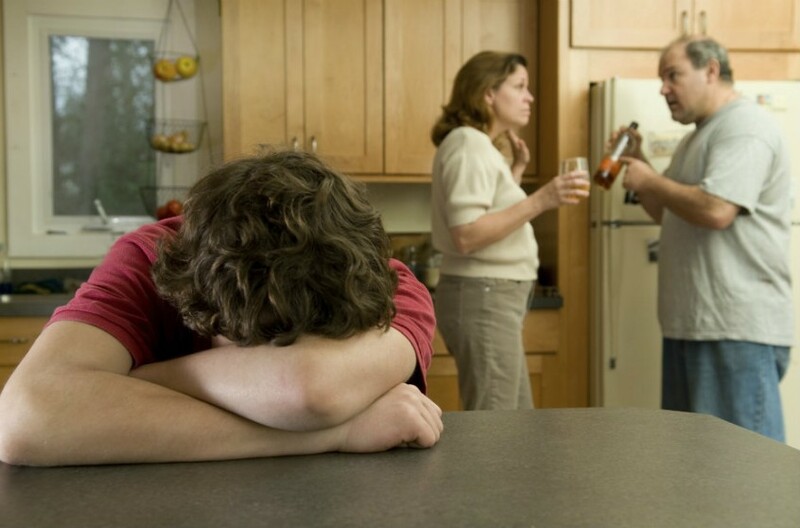 The use of substances by parents and their adolescent children is strongly correlated. Generally, if parents use drugs, sooner or later their children will as well. Children who use drugs are more likely to have one or more parents who also use drugs. Children of addicted parents experience greater physical and mental health problems and higher health and welfare costs than do children from non-addicted families. A child who perceives that a parent is more permissive about the use of drugs is more likely to use drugs themselves. A relationship between parental addiction and child abuse has been documented in a large proportion of child abuse and neglect cases. Addiction is influenced by many different factors, including a person’s environment, parents, family attitudes toward drinking or drugs and one’s individual response to drugs and alcohol. Although genetics make up 50 percent of the risk for alcohol or drug dependence, not all people who use alcohol or drugs will become addicted, dependent or even use them on a regular basis. Many people who have come from addicted families have managed to overcome their own addictions, and many of them never become addicted to drugs or alcohol at all. If you or someone you know is addicted to alcohol or drugs, contact the Orlando Recovery Center today.